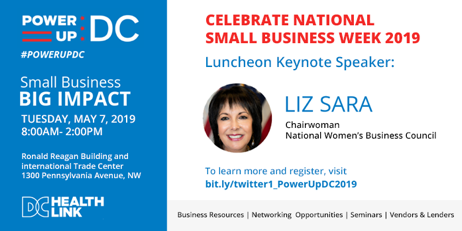 The 3rd Annual POWERUP DC National Small Business Week Forum is designed to provide small businesses and non-profits with information, tools, resources and services to support their startup and growth into prospering enterprises. The forum will focus specifically on one of the greatest needs of entrepreneurs, access to capital to start, grow and prosper. It will also focus on procurement opportunities in both the private and government sectors, certification and licensing, emerging industries, business trends as well as funding and capacity-building for non-profit entities. Additionally, participants will learn about the benefits of the ACA and health insurance options through DC Health Link, the District's online health insurance marketplace. Small businesses are major contributors to the strength of the American economy. Every year they employ more than half the private work force nationally, create new jobs, and drive a majority of American innovations as well as increase U.S. competitiveness. 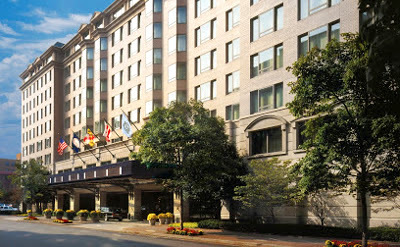 The small businesses of Washington, DC are no exception and it is important to support their growth and to help them in turn to support their employees. 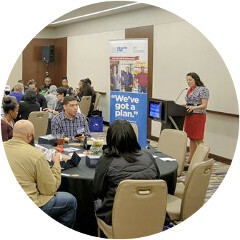 "POWERUP DC" is an initiative developed to support small business by providing various business resources and networking opportunities through a range of cutting edge business seminars, special events and focused presentations from government and private sector representatives on the latest business trends and opportunities.